In the nearly four-month time frame between live shows, Flatfoot Reed has been busy behind the scenes. Drummer Mark Van Winkle had surgery for carpel tunnel syndrome on both wrists and in the meantime the rest of the band was putting pieces of a new EP together and focusing on live shows – part of a strategy to gain fans in the St. Louis area. After making it to the final round of the Road to Pointfest competition earlier this year, the group wanted more performances in the St. Louis area. They got a huge opportunity July 12 when a promoter reached out for local acts to open for metal band Nonpoint at Firebird in St. Louis. FFR lead singer Paul Dewey weighed in on the group’s decision to look for more shows in St. Louis than the Hannibal, Mo. area of northeastern Missouri and western Illinois. 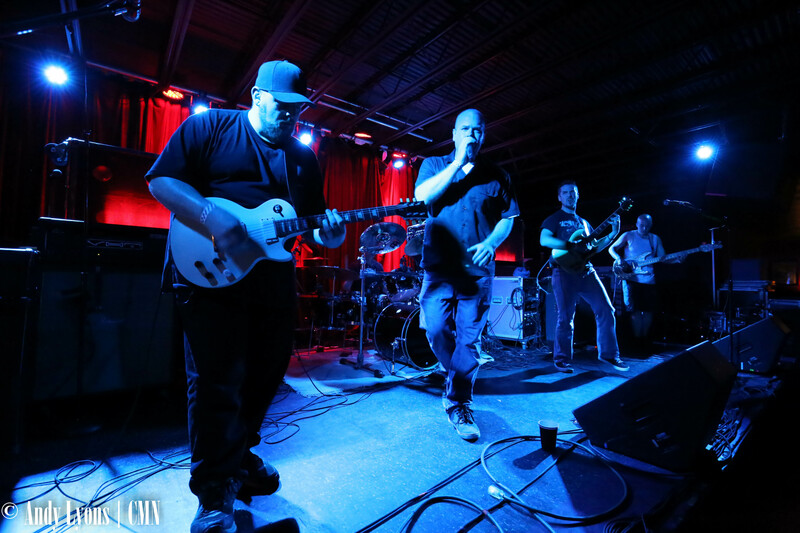 Since FFR has been working on an upcoming EP, they have been consistently playing together, but Dewey said they put it into overdrive to ensure a strong performance for the St. Louis crowd. Dewey said the goal of playing the show at the Firebird was to simply expand the group’s fan base and make some connections with local bands and promoters. The crowd’s reaction definitely supported that hope, as with each song the fans in attendance warmed up more and more to FFR. The group played four songs from their first release, “Fall EP,” and four songs that are in the works to be included on future releases. The pacing of each was spot on. The band played for about 35 minutes and by the end of their set the fans up front – who guarded the spot and never left as they waited for Nonpoint – were headbanging and the entire crowd was waving their hands in the air for “Thieves & Killers.” After their performance, a multitude of fans approached the band as they were hauling gear to their vehicles in appreciation of the show. After Nonpoint’s performance, Dewey and guitarist Ben Beilsmith stuck around to meet the band and chat them up. Looking forward into 2016, Dewey said FFR will work more on the EP and play dates as they come. Their next appearance is on KHQA’s Party on the Patio July 21. The band is looking for shows later this summer with more dates to be announced soon. Follow Flatfoot Reed on Facebook here. Follow them on Twitter here.